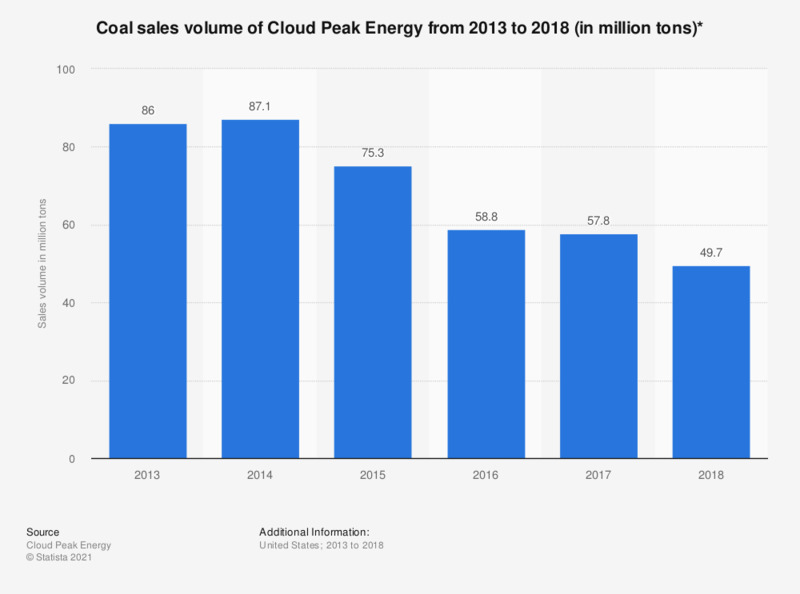 This statistic depicts the coal sales volume of the U.S. mining company Cloud Peak Energy from 2013 to 2017. In 2017, Cloud Peak Energy's coal sales volume from company owned and operated mines amounted some 57.4 million tons. * Tons sold from company owned and operated mines. Everything On "United States coal mining industry" in One Document: Edited and Divided into Handy Chapters. Including Detailed References.